65 million US residents speak a language other than English at home. For them, the biggest source of friction in most interactions with a business is simply finding someone who can speak their language. Companies that fail to offer any type of multilingual support in their contact centers run the risk of leaving millions of potential customers on the outside, unable to reach them. But simply having multilingual support available doesn’t guarantee a positive experience for these non-English speaking customers. Quality counts, and investing in quality language services that boost customer satisfaction may prove to be a competitive differentiator – one that continues to pay off as shifting demographic and immigration trends make your US customer base more linguistically diverse. Will long hold times lead to dissatisfied customers? Calls to Voiance reach interpreters in seconds, rather than minutes. That matters because customer time spent waiting on hold while your agent tries to reach an interpreter adds friction to customer experience. Our large-scale US-based interpreter contact centers employ interpreters, enabling us to schedule them to meet fluctuating call volume and minimize client wait times. We also make it easy to dial an interpreter, offering auto-authentication options that allow your agents to bypass entering complicated authorization codes and reach an interpreter with the literal push of a button. How might inaccurate and/or inefficient interpreters impact satisfaction? An unskilled, inattentive, or poorly-trained interpreter may damage, rather than improve, your customer satisfaction scores. That’s why it makes sense to ask how potential vendors hire, train, certify, and monitor their interpreters. At Voiance, all of that takes place in-person with an in-depth application process, 120 hours of classroom training, and regular quality monitoring and coaching from supervisors who share a section with their interpreters. Is the service reliable in adverse conditions when customers might find failure most unsatisfactory? Relying exclusively on independent contractors who cannot lawfully be required to work a certain schedule and may only log on to interpret when they feel like working. This can lead to a situation where the fewest interpreters are available when you need them most. Hiring interpreters overseas, which may place them beyond the reach of legal recourse if they compromise customer operations. These interpreters may also lack familiarity with US culture and customs. Housing vital infrastructure and/or personnel offshore, making call function reliant on overseas telephone infrastructure. At least one US language services provider lost the ability to handle calls when a hurricane knocked out power in Puerto Rico in early 2018. 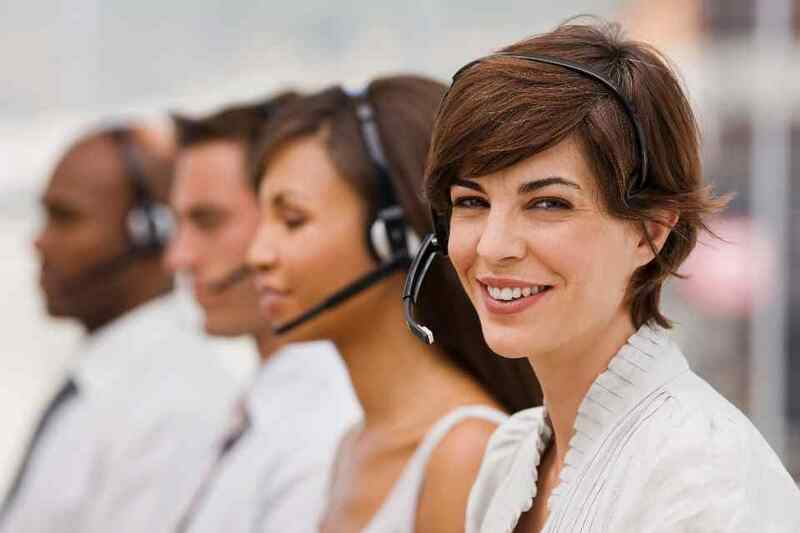 Calls to Voiance route to geographically diverse large-scale US-based interpreter contact centers, staffed with highly-trained and efficiently-scheduled employee interpreters, all located in the continental US, reducing the likelihood that an adverse event will compromise service levels.